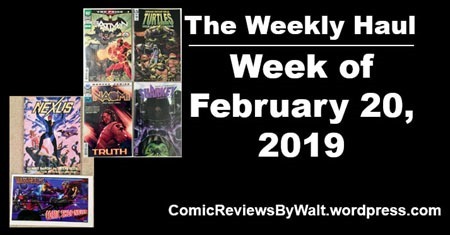 The week of February 20th wound up being a pretty small week for me for new comics…though a bit bigger on other stuff! Let’s get to ’em! We’ve got the third chapter of The Price, in Batman #65. And somehow we’re already (seems like it just started!) 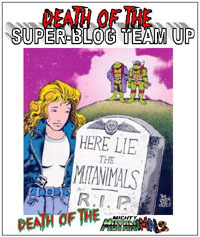 at #10 for TMNT: Urban Legends! 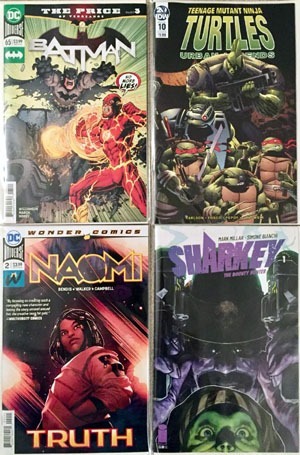 Then there’s the second issue of Naomi…and the first issue of Sharkey The Bounty Hunter. I’ve generally enjoyed Millar‘s stuff, so figured I’d give another of his #1s a shot, though we’ll see if I get to READING it or going beyond this first issue. I’ve "thrown in" on the Wonder Comics line for the moment…it has a lotta promise, and I’m all for Young Justice and Tim Drake being (a) ROBIN again, and we’ll see on these others. Given the week was "only" 4 issues, I browsed a bit more and came across this Nexus graphic novel from First for $5…a far superior value to "just" yet another Marvel #1 or #10 or #11 or #12 or such. 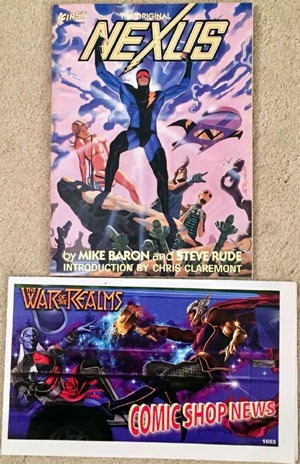 My earliest conscious recognition of Steve Rude was a pinup image he did for Rune back in the ’90s for the Ultraverse. One random pinup image INSIDE a comic, and his work’s been on my radar for over 20 years as a result. No variant covers, even! At the weekend, I did "finally" wind up picking up Mr. 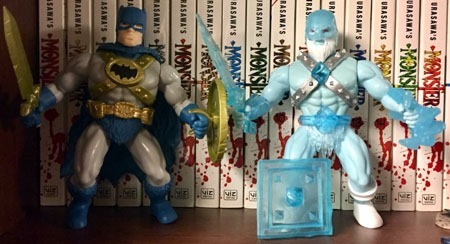 Freeze from the DC Primal Age figures at Target. I find I’m a bit MORE interested in these figures since watching the Masters of the Universe episode of The Toys That Made Us a week or two back. I’ve noticed the last few weeks that Aquaman, Scarecrow, and Joker are the main "peg warmers" of the line, though Mr. Freeze as a runner-up (I’m not certain if I would have gotten him, or Green Lantern, given choice between the two). I also find myself with an increasing interest in tracking down Raiden, Sub Zero, and Scorpion from the Mortal Kombat line in this scale/style. Several comics and an action figure wouldn’t seem to be all that much. Where my opening comment about bigger stuff comes in is in regard to another TMNT purchase from the NECA line of quarter-scale figures! THAT particular purchase will be covered tomorrow or later this week!